Will David Ortiz Hit Career Home Run Number 500 in 2015? Just nine shy of 500 career home runs with 48 games left to play, David Ortiz has an opportunity to become the 27th player in Major League Baseball history to reach that mark before the season ends. So how likely will that happen? Just nine shy of 500 career home runs with 48 games left to play, David Ortiz has an opportunity to become the 27th player in Major League Baseball history to reach that mark before the season ends. With little to play for other than pride, this may be the only thing left for the Red Sox to champion in 2015. Having reached the required number of plate appearances this season to guarantee his return in a Boston uniform in 2016, chances are excellent that number 500 will come with the Red Sox. So how likely will it happen this year? In franchise history, only one player, Ted Williams, has hit at least 500 home runs in a Boston uniform. Jimmie Foxx and Manny Ramirez are the only other two players to hit number 500 with the club. “Big Papi” has 433 home runs with the Red Sox, second most in team history; he hit his other 58 with the Twins over his first six seasons in baseball. Whether he can hit another 67 home runs with the Red Sox, thereby finishing with 500 in a Boston uniform, is another story for another day. The 2015 Opening Day roster for the Boston Red Sox, a season removed from a world championship, has been set by manager John Farrell. From worst to first to worst… to first? The Boston Red Sox, a season removed from a world championship, are set to open the 2015 regular reason today in Philadelphia against the Phillies, the first time in team history that Boston will open against a National League opponent. The Red Sox, who followed the 2013 championship season with a last place finish in the American League East, the second such finish in three seasons, will be managed for a third year by John Farrell. 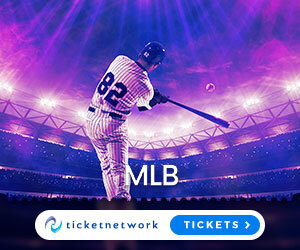 Boston will play an additional road series in New York against the Yankees before opening Fenway Park next Monday versus the Washington Nationals. Many familiar faces return from last season, including designated hitter David Ortiz, who will start the opener at Citizens Bank Park as the first baseman, first baseman Mike Napoli, second baseman Dustin Pedroia, shortstop Xander Bogaerts, outfielder Shane Victorino, and starting pitcher Clay Buchholz. Another familiar face who returns as a starter this season is outfielder Mookie Betts, who will likely play his first full season at the major league level and has already drawn interest as a dark horse MVP candidate. Some of the new faces are already familiar to fans of the Boston nine. Outfielder Hanley Ramirez, who came up through the Red Sox farm system as a shortstop and appeared in two games with Boston before being part of a trade in November 2005 for Josh Beckett and Mike Lowell, returns to the fold, as does starting pitcher Justin Masterson, who appeared in 67 games for Boston in 2008 and 2009. Other new players include third baseman Pablo Sandoval, who played for seven seasons in San Francisco and won three World Series with the Giants, including last season, and pitcher Rick Porcello, who came as part of a trade with Detroit for Yoenis Cespedes. As 2014 draws to a close, we look forward as always to another season of Boston Red Sox baseball, hopefully ending as it did in 2013 with another World Series title for the local nine. The 2014 Red Sox baseball season was one of disappointment as Boston was unable to repeat as World Series champions and finished last in the American League East for the second time in three seasons. Even so, as this year draws to a close, we look forward as always to another season of baseball, hopefully ending as it did in 2013 with another World Series title for the local nine. There is little doubt that Jon Lester, in his eight-plus seasons with the Red Sox, was an invaluable contributor to its recent success. So how does he compare with others southpaws who have pitched for this franchise? With the trade of Jon Lester to Oakland this past week, so departs one of the best left-handed starting pitchers in Red Sox team history, with 110 wins, a no-hitter, and two World Series championships to his credit. Among southpaws in team history, his 110 wins is second-most behind the legendary Mel Parnell and his 1386 strikeouts leads all others. There is no question from anyone who has watched him over his eight-plus seasons with Boston that he has been an invaluable contributor to its recent success and there’s a possibility that we have not seen him pitch for the last time in a Red Sox uniform. So how does he compare to others greats who have pitched for this franchise? 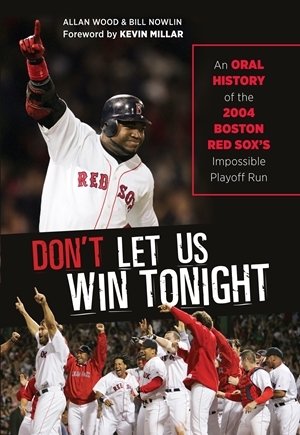 If you are going to recap one of the greatest seasons in Boston Red Sox history and one of the most improbable comebacks in baseball history, why not get the story straight from the people who experienced it firsthand? If you are going to recap one of the greatest seasons in Boston Red Sox history and one of the most improbable comebacks in baseball history, why rehash box scores and the play-by-play that are easily found through an Internet search? Why not get the story straight from the people who experienced it firsthand? This is the heart of Don’t Let Us Win Tonight, authored by Allan Wood and Bill Nowlin. While the authors set the stage in bringing us back ten years to that magical 2004 postseason, the story unfolds through the words of the players, the manager, the front office, the medical staff, the opposition, and even the bat boy. Nearly every moment is captured, beginning with a quick summary of the season, followed by a recap of each postseason game, and finally to the championship parade that wove through the streets of Boston at the end. The next appearance David Ortiz makes for the Red Sox as the designated hitter will see him set a new Major League Baseball record for most appearances as a DH. Should David Ortiz appear tonight for the Red Sox against the Yankees at Fenway Park as the designated hitter, and by all accounts he will, he will set a new Major League Baseball record for most appearances as a DH with 1644 games, surpassing former slugger Harold Baines. Ortiz already holds the record for most starts in league history by a DH with 1625, well ahead of Baines at 1565 starts. Big Papi is far and away the leader in most offensive categories as a designated hitter: most plate appearances (7188), most hits (1779), most doubles (450), most home runs (385), and most RBI (1256). Counting only players with at least 2000 plate appearances as a DH, his OPS of .941 ranks second to Edgar Martinez (.959). What Big Papi said from the heart at Fenway Park last season sums up everything related to how Boston has responded over the past year to the Marathon bombing. Everything related to how Boston has responded over the past year to the Marathon bombing may be summed up by what David Ortiz said from the heart five days later in the first Red Sox game at Fenway Park. This jersey that we wear today: it doesn’t say Red Sox, it says Boston. … This is our f**king city, and no one is going to dictate our freedom. Stay strong! For one final time, we will look back and salute what was an amazing accomplishment by the Boston Red Sox in 2013. The only thing that might be memorable from that day were two things: one, the Red Sox won 3-1 over the Orioles, extending their home opener win streak to nine, and two, it proved to be the last game in the consecutive sellout streak. The next night, the streak ended at 820 games, which included postseason games at Fenway Park. Today, that does not matter. After taking two-of-three in Baltimore, Boston returns to its home field for a celebration that should match or perhaps surpass the celebrations held at the home openers in 2005 and 2008. After the defending World Series champions were showcased at the White House earlier this week, now comes what should be the final mention of last year’s success: a pregame ceremony complete with all the trimmings (gold, to be specific) and the presentation of rings to players and team personnel. The 2014 Opening Day roster for the defending world champion Boston Red Sox has been set by manager John Farrell. The defending 2013 world champion Boston Red Sox are set to open the 2014 regular reason tomorrow in Baltimore against the Orioles, an American League East division rival. The Red Sox, who surpassed the expectations of most prognosticators last season to win their third World Series in ten seasons, will be managed for a second year by John Farrell. After finishing the opening series, Boston will open Fenway Park this Friday versus the Milwaukee Brewers. Many familiar faces remain on the roster from last season, including designated hitter and World Series MVP David Ortiz, second baseman Dustin Pedroia, outfielder Shane Victorino, starting pitchers Jon Lester, John Lackey, and Clay Buchholz, and closer Koji Uehara. Another familiar face who returns as a starter will be shortstop Xander Bogaerts, who is the youngest player to open the season at that position for the Red Sox since Everett Scott in 1914, according to Gorden Edes at ESPNBoston.com. Some of the new faces include veteran catcher A.J. Pierzynski, outfielder Grady Sizemore, and reliever Edward Mujica. In what was a relatively quiet spring, Sizemore was the big story; returning to baseball after being limited to 112 games between 2010-2011 and no games over the past two season, he outperformed expectations and displaced Jackie Bradley, the expected starting center fielder, from the major league roster.